New Delhi: The premier British medical journal, The Lancet, has identified a “global syndemic”, or a synergy of epidemics”, approaching human societies, which links the poor management of nutrition with a worsening natural climate. The original mandate of the commission behind the report was to look only at obesity. Its research and deliberations, however, led to the “reframing of the problem and expansion of the mandate” to these other two, interlinked pandemics. The Lancet Commission’s report tries to see all these issues as related to each other, and not separately as government policy often views them. Globally, undernutrition has been declining too slowly to meet any targets. No country has been able to reverse the growing obesity epidemic, and public policies world over are insufficiently countering climate change. The reasons, which the report identifies, include opposition by vested commercial interests, misplaced economic incentives, lack of political leadership and insufficient social demand for change. Earlier this month, the Lancet’s EAT Commission also released a similar report on different diet choices and their impact on the environment. How bad is the global syndemic? Stunting and wasting from undernutrition are thought to affect 155 million and 52 million children worldwide. 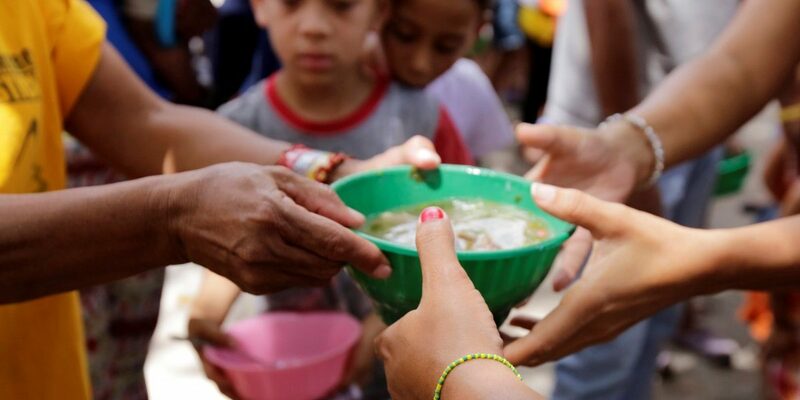 Eight hundred and fifteen million people are estimated to be undernourished. Taken together, Asian and African states spend about 4.11% of their gross domestic product (GDP) on dealing with the costs of undernutrition. At the same time, more and more societies are struggling with obesity – excess body weight affects about two billion people worldwide and causes four million deaths. “The obesity pandemic has shifted the patterns of malnutrition,” the report says, as high-income countries have felt the burden of epidemic obesity since the 1980s, while low-income countries have continued to suffer malnutrition. High-income countries – with their large burdens of obesity and their larger carbon footprints – engage in more environmentally damaging practices of food production and diet, such as the rearing of animals for consumption and the prevalence of packed and processed food. Bad food-production practices contribute heavily to climate change. Agriculture alone contributes 15-23% of greenhouse gas emissions. Along with land conversion, food processing and waste, that figure goes up to about 29%. India has fared poorly on the problem of nutrition for years. The Global Hunger Index ranked India at 103 among 119 countries last year, dropping three spots from 100 in 2017. (The index is based on four factors: undernourishment, child mortality, child wasting and child stunting.) Other South Asian countries do better – India ranks well below neighbours like China (at the 25th spot), Nepal (72), Sri Lanka (67) and Bangladesh (87). Pakistan placed 106th. The government’s National Family and Health Survey data states that 38% of children under five years are stunted, 21% are wasted and 36% are underweight. Being overweight is also a risk factor for diabetes and the number of people with the disease in India increased from 26 million to 65 million between 1990 and 2016. The news on climate change is not much better. The World Bank said last year that 600 million people live in locations that could either become moderate or severe hotspots by 2050 – which will have devastating effects on agricultural output and food security. The thrust of the Lancet report is how the interactions between these three issues may play out – for example, Goenka explains, climate change increasing food insecurity and thus undernutrition, or fetal and infant undernutrition increasing the chances of adult obesity.